William Ambler was born in St John′s Wood, London in 1869 the son of George Ambler and Susan. George was a domestic gardener and moved round the country many times. William had an older brother Harry and four younger brothers: Sam, Philip Edward, Frederick and Frank. The father, George, was born in Harewood, Yorkshire in 1843 one of two George Amblers born during that year. By the 1881 census Harry was a Land Agent′s Clerk and it seems that William also had the same profession as, although he is missing in the 1891 census, as are the whole family except Harry who married Annie Elizabeth before the census date, he reappears in the 1901 census as a land Agent′s Clerk in St Margaret′s Westminster, London. William had married Mary Donelan (1867 Longford, Ireland) in 1893, London. They had a son William Noel b.1894. In 1902 a Mary Ambler was born and died very young in Folkestone and it seems likely that she was their next child suggesting a move in 1901 or early 1902. Further support for this comes in the 1911 census when William and Mary are living at 41 Castle Hill Avenue, Folkestone and they state that Mary has had two children, one living (William Noel) and one dead. William gives his occupation as Estate Agent′s Clerk. In fact he worked for The Earls of Radnor who owned much of the property in Folkestone. There is no trace of William′s parents or younger brothers after the 1881 census and it is possible that that all went to Australia, a family legend tells of this. There is a brief mention of Mrs Ambler in a book "Folkestone During The War 1914-1918" where we learn that “The late Mrs. Ambler and Mrs. Jones had charge of the first hostel at the old Grammar School”. This Hostel was for Belgian Refugees. Mrs Mary Ambler had died in 1917. 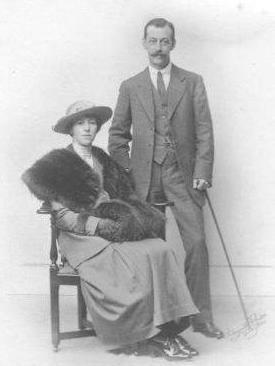 William married for a second time to Ellen Measures late in 1917 (b.1884 Pailton Warwickshire). She was the daughter of Thomas Measures and Mary Elizabeth Baylis m.1878 Pailton. Ellen Measures was a nurse who trained in Leicestershire, before state registration. She was also a trained midwife and mental nurse. She worked as a midwife in the East London docks during the first half of World War One and lived in a nurse′s home in East London. 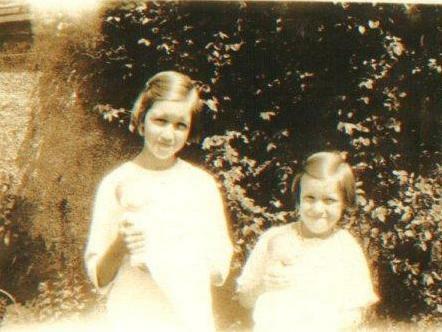 William and Ellen had two daughters Grace Mary b.02 Sept 1918 Folkestone and Dorothy Marguerite Louise Ambler b.20 Nov 1921 Folkestone. The family appear to have lived in the same house from before 1911 until they left the town since these are photgraphs of the family home during the 1930s. 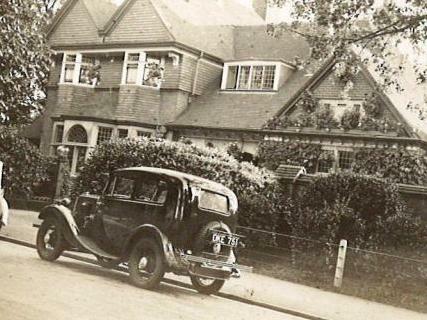 The original 41 Castle Hill Avenue no longer exists but if we compare it to the present 43 Castle Hill Avenue the resemblence is striking and I think it is fairly safe to assume that No.41 was a similar house located next door in the same street. 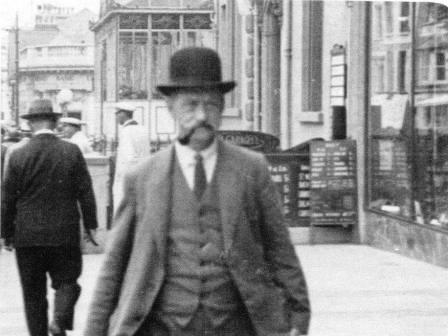 William Ambler apparently worked closely with Lord Radnor who would stay at William′s home when visiting Folkestone. He was also an active charity worker and fundraiser for the local hospital. 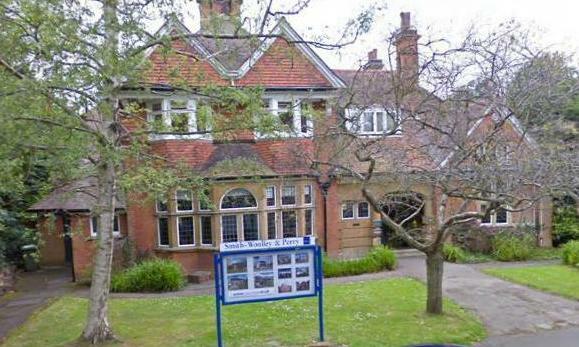 William and Ellen′s two daughters Grace 1918 and Dorothy 1921 attended a Catholic School in Folkestone, probably St Mary′s, which then took pupils through from infant to senior school. 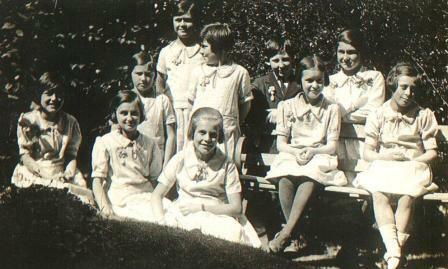 We see the girls together and at birthday parties with school friends during the 1920s. Of course life changed dramatically after the outbreak of WW2 in 1939. William stayed on in Folkestone throughout. 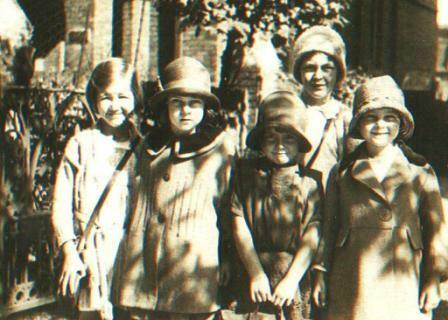 Ellen stayed with relations in various places and Dorothy, who was just 17 years old, was too young to be accepted for general nursing training so she spent the next eighteen months working for her Children′s Nursery Certificate, at Woking in Surrey. This involved the permanent care of forty children, less than five years of age, who were evacuated from the poorer quarter of London. After obtaining her Children′s Nursery Certificate, she began and completed her general nursing training at the King Edward VII hospital in Windsor. 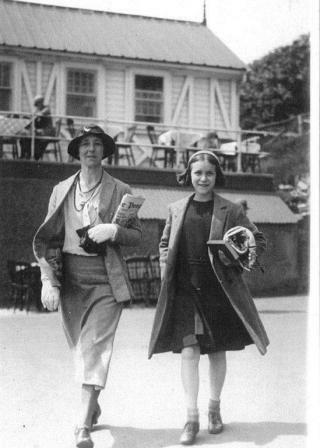 During her final year at Windsor, Dorothy was awarded the Gold Medal for General Proficiency. She finished 1945 by topping her nursing finals. 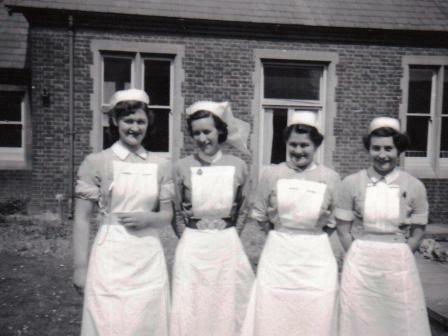 After the war, Dorothy worked at Salisbury Royal Infirmary in Wiltshire as Casualty Staff Nurse. She became a qualified Midwife while nursing at Southlands Hospital, near Brighton in West Sussex. She was now triple certificate registered, which was essential if you wished to become a nursing sister. Next she was Junior Casualty Sister at Worthing hospital in West Sussex, then Junior Night Sister at Altringham General Hospital in the county of Cheshire. 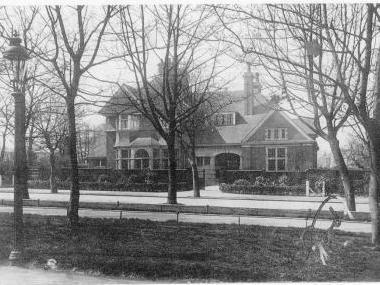 She returned to Southlands as Sister in Charge of the Male Medical Ward, for three years. Possibly because Dorothy was in Salisbury, William and Ellen moved to Bodenham a village near the city upon his retirement about 1946. However, this was not a happy time as not long after the move Ellen fell and broke her hip; an injury which never fully healed. To make things worse William developed cancer. Dorothy spent some time nursing both parents until William died on 7th May 1948 aged 79. Ellen became more difficult to look after and was eventually transferred to a Catholic nursing home in Cheltenham where she died 1st November 1952 aged 65. 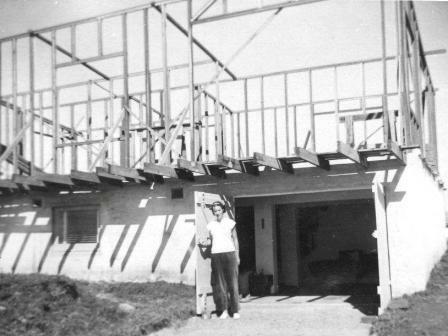 Dorothy′s nursing career continued but in 1956 she obtained a Senior Nursing Post in what was then the Canberra Community Hospital, Australia. So Dorothy Ambler emigrated to Australia in 1957 on the P&O ship STRATHEDEN, as a ten pound POM. 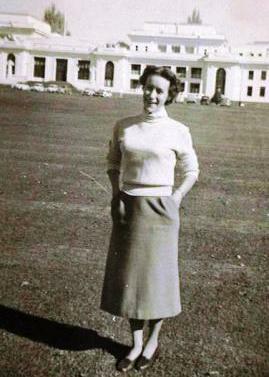 She arrived in Australia in November 1957 and worked at the Canberra Hospital as a Senior Nursing Sister until 1961. It was while Dorothy was Senior Sister in Canberra, that she met her future husband, who was admitted to her ward, following a car accident. 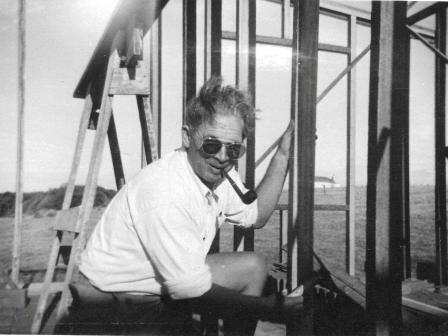 Siegfried Thomsen, a Danish builder, who spoke not a single word of English, had also left Europe after the Second World War. Initial communication was carried out by phrase book. The communications must have been quite successful as they were married in Canberra on 09 April 1960. 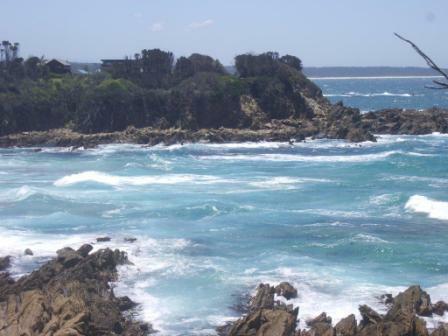 Friends introduced them to a tiny place on the coast called Dalmeny and they immediately loved its wild coastal beauty. 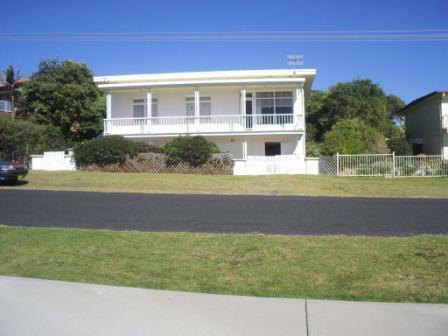 Dalmeny is SE of Canberra via the King′s Highway, Bateman′s Bay and the Princess Highway. 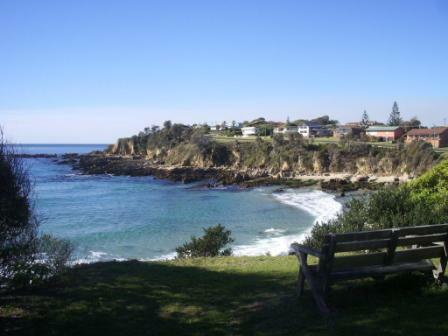 Mr and Mrs George Noble who owned most of Dalmeny at the time sold them some land now called Ocean Parade, it was then known vaguely as “the headland where the sheep graze”. The newly married pair spent their honeymoon in a tent, starting the foundations of what would become the family home. 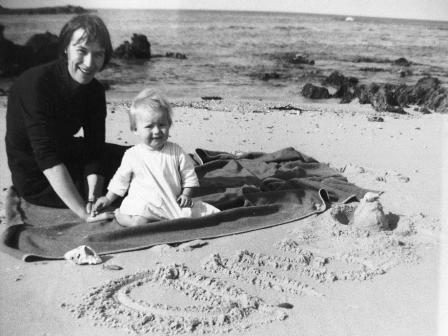 Siegfried would not allow Dorothy to live permanently in Dalmeny until the base of the house was liveable in, so she nursed in Canberra all week, coming to Dalmeny by bus at the weekend. The trip from Canberra to Dalmeny could take up to nine hours, depending on the state of the roads and the Nelligen Punt. (To cross the Clyde River until a bridge was built in 1964). 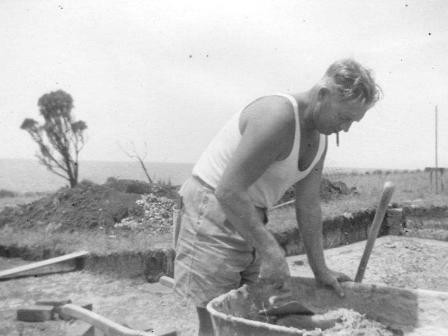 Dorothy then began her new life as the wife of a builder under almost pioneer conditions. 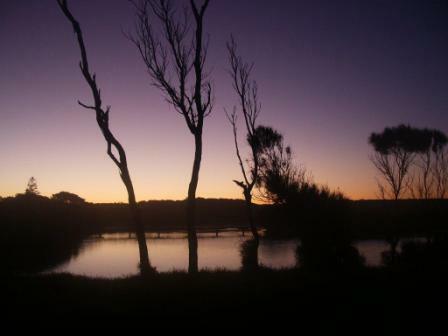 Tank water, once you had built the tank, no drainage, sewerage or roads plus phones that stopped at six in the evening, coming on again at eight in the morning. When a daughter was born, late in the evening during the worst flood of the decade, the vital message arrived via a very efficient people pipeline. Moruya hospital phoned the lady who ran the phone exchange. She then sent her daughter to walk through the flooding rains at midnight. Siegfried was woken by the urgent tapping on his window announcing the arrival of a bouncing baby daughter. Siegfried died in Dalmeny in 2009 aged almost 96 and Dorothy on 30 Sept 2011. Dorothy was a Folkestone pioneer in the Dalmeny area, a place very different from back in Kent, but what a beautiful place it was to start a new life. 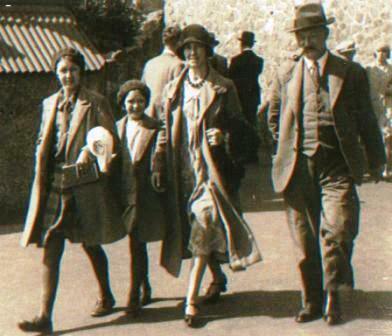 I would like to thank Ingrid Smith for information and photographs of this Folkestone family.